This story is about a high school freshman named Charlie who has been very emotionally unstable since his life was turned upside down as a child and has him mentally scarred. 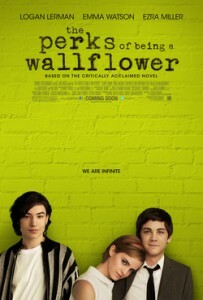 Charlie starts high school with no friends, and soon meets a boy in his shop class named Patrick, who is a senior. Charlie later becomes friends with Patrick, Sam, and their friends. The whole group were seniors, which is very unfortunate for Charlie in the end. Charlie messes up with one of his friends which turns the whole group against him. Charlie gets extremely depressed again like he was toward the beginning of his freshman year. He does an extremely courageous thing to help Patrick out and wins all of his friends back, only a few weeks before their graduation. After the graduation and all of Charlie’s friends have gone away to college, he has a mental breakdown over the situation the had happened when he was younger. Charlie tries to kill himself over these situations that have occurred over the years, and ends up in the hospital for several weeks due to everything that was going on during these hard times. Charlie’s friends Patrick and Sam come back after having a few months of college over with. They spend a little time with Charlie to make sure he is okay before having to go back to college. My thoughts are that it is an amazing story, and it perfect perfectly describes all sorts of mental illnesses. This is actually my favorite movie and my favorite book, and I’ve watched the movie so many times, that I can quote a lot of the scenes. This film means a lot to me and I love it so much. I totally recommend it to anyone who is interested in real life experiences and journal style films and books.